Recently I wanted to explore the world of Ketosis. I thought I knew a little bit about ketosis, but after doing some research I soon realised how wrong I was. 3 months later, after reading numerous books, listening to countless podcasts and experimenting with various diets I know have a sound understanding of ketosis. This resource is built as a reference guide for those looking to explore the fascinating world of ketosis. It is a resource that I wish I had 3 months ago. As you will soon see, a lot of the content below is not mine, instead I have linked to referenced to experts who have a greater understanding of this topic than I ever will. I hope this helps and if there is something that I have missed please leave a comment below so that I can update this. Also, as this is a rather long document, I have split it into various sections. You can click the headline below to be sent straight to the section that interests you. For those that are really time poor I have created a useful ketosis cheat sheet guide. This guide covers all the essential information you should know about ketosis. What Are The Benefits from being in Ketosis? Do I Need to Eat Carbs? What do I Eat On a Ketogenic Diet? What Do I Avoid Eating on a Ketogenic Diet? How Long Before I’m ‘Keto Adapted’? When is the Best Time to Measure Your Ketone Levels? How Long Does it Take For Me To Get Back Into Ketosis? How Effective are of Ketone Supplements? Questions? Did I Miss Something? A state where your liver makes enough ketones to offset the brains dependence on glucose – P. Attia. For more of a detailed explanation refer to Dr Peter Attia’s interview on the Tim Ferris Show. At about the 20minute mark, Peter does a great job of explaining ketosis. You can listen to this HERE. “Our ancestors lived in a time when we would go without food for extended periods. The human body can only store a finite amount of glucose (sugar). Some in the muscles, and some in the liver. Only the glucose stored in the liver can be utilised by the brain. The brain uses about 20% of our daily metabolic fuel needs, and ordinarily functions using glucose. So we have a problem, the brain is dependent on glucose, but we can only store a small amount of glucose in the liver. The body needed a system to fuel the brain (and the body) even in times where there was no readably available food. Converting protein to glucose was one possible mechanism – but this would mean a lot of muscle wasting which isn’t wise for our survival. The other option – which is the superior option – is the breakdown of fat into a fuel that can be used by the brain. This is a beautiful solution, because even the leanest individual will have weeks and weeks’ worth of energy stored as body fat. The body breaks down this fat in the liver and converts it into ketone bodies. The brain can then utilise these ketones as a fuel source – forgoing the need for stored glucose or constant consumption of carbohydrates. These ketones can also be used to make ATP. We would like to emphasize that ketosis is a completely physiological mechanism and it was the biochemist Hans Krebs who first referred to physiological ketosis to differentiate it from the pathological keto acidosis seen in type 1 diabetes..
Why would one want to be in a state of ketosis? There have been a lot of documented reports behind the benefits of ketosis. I cover these in depth in my article 24 Benefits of the Ketogenic Diet. Again, I cover this topic in much more detail in this article. Ketoacidosis is dangerous. Ketosis however isn’t. Ketoacidosis is a serious condition and can be life threatening. Ketosis on the other hand is something that most people enter every night when they are sleeping. There is a big difference. Many doctors are only familiar with ketoacidosis and thus get the terms mixed up – hence the common fear of ketosis being dangerous. … ketosis is a controlled, insulin regulated process which results in a mild release of fatty acids and ketone body production in response to either a fast from food, or a reduction in carbohydrate intake. As per the image, you can see ketoacidosis has ketone levels of 20 mmol or higher. Meanwhile ketosis only brings about 5 mmol/l of ketones in the blood. Even going 20 days without food doesn’t bring about a ketone reading even close to that of the ketoacidosis. As always, please consult a medical professional before undertaking any dietary changes. Being on a low carb diet does not mean you are in ketosis or in a ketogenic state. There is a big difference between the two. Being in a state of ‘ketosis’ generally means you have a ketone blood reading of 0.5mmol/l or higher (more on how to track this figure below). But you can be on a low carb diet and not be anywhere near 0.5mmol of ketones in your blood. In fact this was one of the biggest surprises I had when exploring ketosis. For years I have been following a cyclical lower carb diet. For years I wouldn’t consume a carb until later in the afternoon (ala Carb Backloading style). After eating 5 days without any carbs I tested my ketone levels… they were 0.1 mmol. This reading was done first thing in the morning (10 hours fasted) after 5 days without a carb in my diet. To be clear, low carb does not equal nutritional ketosis (more on nutritional vs therapeutic ketosis below). Refer back to the graphic above, you can see how after a night fast that some ketones are present but it is such a low amount. So what is the difference between low carb and keto? First you need to define what you mean by low carb? Given that the average American male adult consumes about 250-300g of carbs a day then you could define a low carb diet as anything below 250g of carbs a day. His primal diet is often considered to be a typical low carb diet. Some people follow more of an Ultra Low Carb diet approach. This is generally around 50g or less of carbs per day. A ULC is more supportive of reaching a ketogenic state, but again total carbs are not the only variable when it comes to reaching ketosis (other factors such as types of carbs, protein consumption, portion size, ingredients, supplements used etc. all play a role and will be covered in more detail below). In summary, ketosis is a state of being when your blood ketones are in a range of 0.5 to 3.0 mmol. Low carb is simply eating a low carb diet. Can you be low carb and in ketosis – Yes and No. 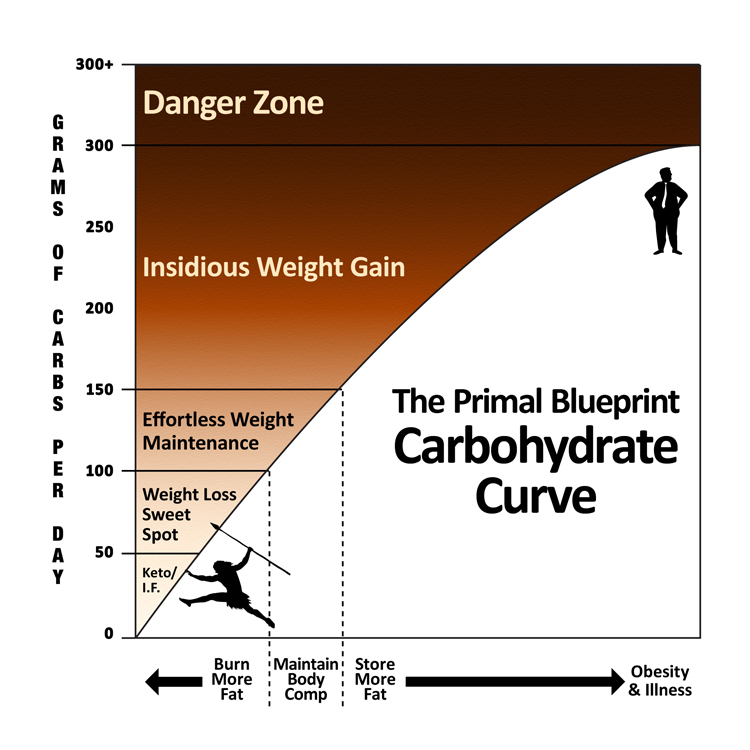 Do you have to be low carb in order to be in ketosis? No. If you are confused, read on as I will explain this in more detail below. But just remember – being in a state of ketosis means more than simply restricting carbs. Limiting carbs does help, and typically the lower your carb consumption the more likely you will be in a state of ketosis, but there are other factors that come into play. There are multiple forms of ‘ketosis’. The conventional way to enter ketosis is to eat an ultra-low carb, protein restricted high fat diet (more on this below). This would be considered ‘Nutritional Ketosis’. But some people chose to use supplements to benefit from ketosis (Therapeutic Ketosis), and finally there is the MCT Ketogenic Diet – which in a form of nutritional ketosis (ULC, limited protein, high fat) with a twist – about 30-60% of the fat intake in the diet comes from MCT (Medium Chain Triglyceride) fats. Sources of MCT fats include Pure MCT Oil, Coconut oil and coconut products. The MCT Ketogenic Diet is often used with epilepsy suffers, as the high levels MCT oil create a higher level of ketones in the blood – which helps prevent seizures. For more on the MCT ketogenic diet and epilepsy please see THIS page. 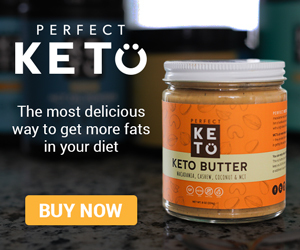 - Follow a ketogenic diet (nutritional ketosis): By following a diet that is high in fat, modest in protein and low in carbohydrate, we can naturally induce our body to start burning fat for fuel and producing ketones. - Take ketone supplements (therapeutic ketosis): A second option is to consume ketones in the form of a supplement. 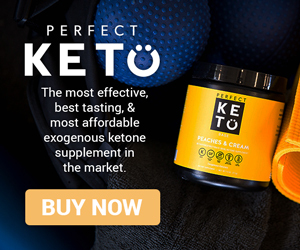 Supplements like Perfect Keto Ketone Salts that provide the exact same ketone bodies that are produced naturally in the body. And while supplements are not a complete replacement for the benefits of ketones produced through diet, they do lower the barrier by allowing anyone to start benefiting from therapeutic ketones. Hybrid strategy: A hybrid strategy is to follow a low-carb/high-fat ketogenic diet to induce nutritional ketosis and use ketone supplements strategically. 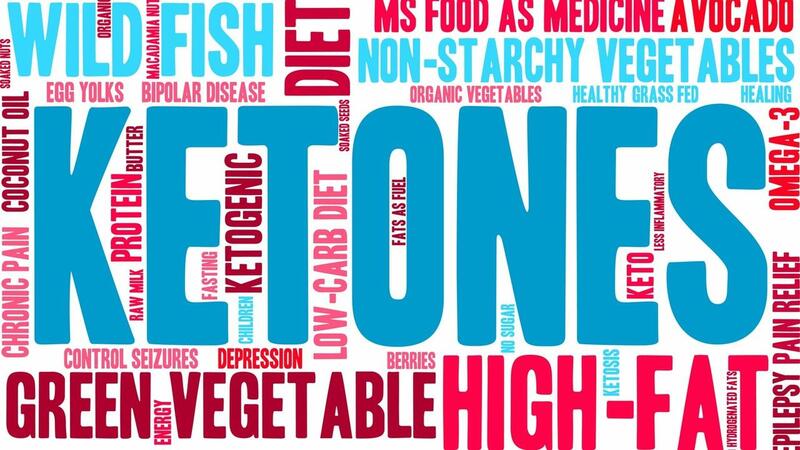 Supplements like Ketone salts or MCT oil can help ease the transition into ketosis, they can be an effective tool when we are knocked out of nutritional ketosis and they can help push ketone levels higher in the body for added benefit. For a great overview of the various types of Ketogenic diets, and their therapeutic use please see this chart put together by the Charlie Foundation. This is quite a controversial question. Meanwhile Brinkworth, et al., in their 2009 paper "Long-term Effects of a Very Low-Carbohydrate Diet and a Low-Fat Diet on Mood and Cognitive Function" looked at the effects on ketogenic diet on cognitive function and mood. The study participants ate a ketogenic diet for a year and the researchers found that mood levels decreased when compared to a group eating a high carb/low fat diet. They go on to remark “there was no evidence that the dietary macronutrient composition of LC and LF diets affected cognitive functioning over the long term, as changes in cognitive function were similar for both diets”. Also they found that both groups (ketogenic and the low fat group) had similar levels of weight loss. Children who followed a ketogenic diet for 2 years showed stunted growth, which was reversed in a ‘catch up period’ (eating a normal diet) as found by Kim et al in their 2013 paper. Fans of ketogenic diets commonly point to the Inuit and how they have survived for generations while eating a lower carb, ketogenic diet. To read more on this please see this review - Ketogenic diets and physical performance by Stephen Phinney. 280g/day of protein o 135g/day of fat o 54g/day of carbohydrate (“of which the bulk is derived from the glycogen of the meat eaten). Finally, the author of the 1928 study paper concluded ‘On normal diet, Eskimos showed no evidence of ketosis and had high glucose tolerance (unlike most modern ketogenic dieters, who fail oral glucose tolerance tests while in nutritional ketosis)’. Also, this experiement should be of interest. Two men followed a ‘traditional Eskimo’ diet for 1 year. After the year eating a low carb high fat diet, it was found that the men had a diminished tolerance to carbohydrates, something that did not occur in Eskimos eating the same diet. It took the mean nearly a month of eating a ‘normal diet’ before their glucose tolerance returned to baseline. All these papers indicate that the ‘eskimos have been eating a ketogenic diet for generations and are fine’ argument is not necessarily a justifiable point to support the notion that ketogenic diets are safe for individuals with a western heritage. Personally, I enjoy my milk and sweet potato too much to follow a long term ketogenic diet (though I have experimented with a 12-week strict ketogenic diet – something which I won’t be doing again. More on this at the end of this article). Also, it’s important to remember that just because something may be SAFE (and to reiterate, I’m not saying a long term ketogenic diet is safe), it doesn’t mean it’s good for you or beneficial. Running Marathons could be considered safe (especially if it’s on a closed race circuit), but does this mean it’s good for you? Or should you be out running marathons every day? Ketosis and it’s (negative) impact on thyroid function is a hotly debated topic. As with many things in the diet world, it really boils down to self-experimentation. Just because something works for one person, doesn’t mean it won’t work for another. Below I have listed numerous opinions and data on the link between thyroid health and ketosis. Please read through all resources and draw your own opinion. Or even better, do an n=1 experiment, test your thyroid markers while on a normal diet, then follow a ketogenic diet for a few weeks and retest your thyroid markers to see what changed..
Do Low-Carb Diets Lower Thyroid Function? Let's Ask The Experts! First up we have a panel hosted by Jimmy Moore. In counter to the Precision Nutrition article, you have an article by Ketotic.org who claim that Low T3 is not hypothyroid and maybe be beneficial for weight loss and increased longevity. This article can be read HERE. Paul Jaminet (PHD), author of the Perfect Health Diet Book is against ultra low carb diets for thyroid health as explained in this detailed article of his Carbohydrates and the Thyroid. The Effect of a Ketogenic Diet on Thyroid Hormone - Where the author concludes ‘After three months of nutritional ketosis my TSH, free T3, and free T4 indicate that I’m hypothyroid, or at the very least subclinically hypothyroid (depending on which reference range is used). This is also supported by my low Free T3/rT3 ratio'. Again, this is a controversial subject with strong arguments from both sides. I strongly believe that you need to do your own research on this subject and if you decide to follow a ketogenic diet, track your progress and bloods. If you do have a pre-existing thyroid condition, then it may be wise to steer clear of a ketogenic diet. Should you still desire to follow a ketogenic diet, then at least work in regular carb refeeds a la Carb Backloading style. Read THIS article for more on the importance of carb refeeds. There is no correct ‘number’ when it comes to finding the perfect ‘ketogenic diet’. The short answer is ‘it depends’. And the best way to find the perfect diet for you is to test (more on this below). However, here are a few starting points. '...effective strategies for increasing ketone production may come from the traditional teachings of the Ketogenic Diet, which calls for a fat to protein and carbohydrate ratio of four to one. First, the protein requirement is determined: 1 gram of protein per kilogram of body weight. Dr Peter Attia, from The Eating Academy, uses a similar formula. He explains his forumala in detail in his article Ketones and Carbohydrates: Can they co-exist? Therefore the macronutrient breakdown for an individual will depend on their body weight. A Note on carbs – I go with total not net, as I have found that fiber does seem to have a small impact on ketosis. 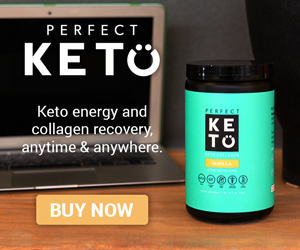 If that calculator is a little too advanced, try the simpler keto calculator that Perfect Keto have at https://www.perfectketo.com/keto-macro-calculator . Also, I have included this information on my FREE ketosis cheat sheet guide. Print this out, stick it to the fridge or carry it around with you to help workout what to eat and when etc. You can download this by clicking HERE. Saying all of this, I'm not the biggest fan of tracking calories and using macros, as explained in this article - The Problem With Counting Calories - but these macro calculations do allow you to figure how how your macronutrients should be split. I recommend going back and reading the section on Thyroid and Ketosis and Long Term Safety as I cover this subject in great detail in those sections. But to answer this question the answer really depends on what you mean by ‘Do You Need Carbs’. Do you need carbs to survive the day? No. Anyone who has fasted more than 24 hours can prove this (I have gone 72 hours without food and I still am here to tell the tell – read more here). Do you need carbs to train? No. Again this is an anecdote only, but I have done numerous training sessions in a carb deprived state. Heck some of my best training sessions where done in a fasted, carb deprived state. And there are a lot of endurance athletes who are using a ultra-low carb/ketogenic diet and putting up some great times (more on this below). So instead of asking ‘Do you need Carbs’, you should ask ‘Do I need carbs to THRIVE?” And this is where the answer gets tricky. Even though endurance athletes can train in a carb depleted state, they will generally consume carbohydrates in the lead up to a race (the athlete is seeking to increase the ability to run off fats by training in a carb depleted state, then benefiting from both fats AND carbs come race day). Likewise, with the brain, even though the brain can function off ketones, does it mean it’s the best state for brain function? I have included this list in my FREE Keto cheat sheet one page guide which can be downloaded HERE. Dinner – Salmon with Homemade mayo (made from egg yolks and mct oil, lemon juive, salt and mustard) and a small serving of green vegetables. Dinner - Slow cooked stew – with bone broth, high fat meat (beef brisket or lamp rump), extra coconut oil and some vegetables. This following section includes foods that you should avoid if you want to remain in ketosis. I am not claiming that the following foods & supplements are unhealthy or bad in anyway, I am simply providing a list of foods/supplements that should be kept to a minimum if you goal is a high blood ketone reading. Simple, avoid consumption of all sugars if your goal is strict keto. The resulting insulin spike will knock you right out of ketosis. This means you should limit foods such as fruit, honey, syrups, all sugar, fruit juice, soda, milk etc. You may find a tiny amount here and there is ok (i.e., 2g of sugar with a meal full of fat may be ok). But if you are starting out I would recommend cutting all sugar from your diet, and most importantly avoiding any sugar consumption on an empty stomach. For best results track your ketone levels before and after meals to see the impact the food has on your ketone levels. This includes root vegetables such as potato, pumpkin and all grains (and grain derived foods such as bread and flours). These may not cause the same blood sugar spike that pure glucose does, but the blood sugar increase will knock you out of ketosis, especially if these foods are consumed on an empty stomach and or without fats. This is something that you will have to test as the impact of artificial sweeteners tends to vary between individuals. Some artificial sweeteners cause a blood sugar spike – which can knock you out of ketosis. My recommendation is simple: Avoid all artificial sweeteners and if you want to use them, then test your ketone levels before and after to see the impact they have on you. There are a few supplements that I would recommend avoiding if you want to remain in ketosis. Two of the big ones are Glutamine and Alanine. For instance a 10g serve of glutamine dropped my blood ketone level from 2.8 to 0.4 mmol. This may have been mentioned, I haven’t checked all comments, but glutamine causes gluconeogenesis so that may explain why it affects Ketosis. Whenever I took a glutamine powder supplement for gut healing, I noticed I would “feel” less Ketogenic and I knew it was affecting me adversely. Glycine (which is also in bone broth) also has this effect I believe. Apparently some amino acids are just more easily converted to glucose. Also, like glutamine, Alanine can have a profound impact on ketosis. One study titled - The effects of alanine, glucose and starch ingestion on the ketosis produced by exercise and by starvation. Found that alanine supplementation knocked the participants out of ketosis as much as pure glucose did. Note – not all amino acids are glucogenic. Leucine and Lysine for example are ketogenic. As you can see from the above section, many amino acids are glucogenic – meaning they are easily converted into glucose. Glucose will then halt ketone production meaning your ketone levels will fall and you will be knocked out of ketosis. Amino acids are the building blocks of protein, thus protein itself can knock you out of ketosis. This is probably one of the most understood notions of a true ketogenic diet (and the difference between a keto diet and a low carb diet). An optimal ketogenic diet will be low in carbohydrates AND protein. Many people who have experimented with low carb dieting simple reduce carbs and increase protein. A big reason behind this is due to the misconception that ‘’excess fat is bad – which is untrue, more on this HERE). However, excess protein can be converted to glucose (blood sugar) through a process called gluconeogenesis. What this means for the ketogenic crowd is that your protein intake needs to be restricted (and even monitored) if you are seeking high blood ketone levels. How much protein is ‘excess’ and how much protein will knock you out of ketosis? The answer is ‘ it depends’. Refer back to the section titled What’s a typical diet/macro breakdown for some rough calculations to get you started. Otherwise, simple test your blood ketones after a meal. If your ketone figure drops drastically, then you may have consumed too much protein in that particular meal. One thing to remember here is that even if your calculated daily ‘keto approved’ protein allowance is (let’s say) 150g, that doesn’t mean you can eat 150g in one meal and still be in ketosis. You may find that you can’t eat more than 40g of protein at a time, otherwise you will drop out of ketosis. OR, you may find you can eat 50g of protein but you need a LOT of fat. Whereas a small serve of 15g of protein without fat might knock you out of ketosis. Again, you need to test to find the impact of food on your body. But the most important takeaway here is ‘don’t overdo your protein consumption if you want to reach a state of ketosis’. You can read some anecdotal case studies of individuals experimenting with restricted protein and ketosis HERE and HERE. The simplest answer is ‘stop eating food’. But that’s not sustainable long term. Fast for 18 – 36 hours. Break the fast with a high fat meal, low in protein and void of any carbs. Continue to use an Intermittent fasting protocol (fasting 12 hours or thereabouts every day). When you do eat, ensure you meals are high in fat, with moderate protein and low carb. Include MCT with each meal. Finally, look at supplementing with exogenous ketones. The ‘FASTER Study’ by Jeff Volek. And this article on calories proper http://caloriesproper.com/ketoadaptation/ where the author remarked “More than 3 weeks on a ketogenic diet and you have more better mitochondria and can generate ATP just as fast as high carb"
The best way to measure ketones is with a blood glucose meter. I personally use the Abbott Freestyle Optium Neo ketone meter. You can buy this online for around $20-50. Strips cost anything from $1 to $5 depending on what specials you can find. To measure your ketone levels, you simply prick your finger with the lancet that comes with the Freestyle device, and test your blood using a ketone strip. Wait a few seconds and your ketone level will show on the screen. A regarding above 0.5mmol generally indicates that you’re in a state of ketosis. When you are in a state of ketosis, the body turns fatty acids into ketones - these appear as beta-hydroxybutyrate in the blood. Measuring blood ketones is regarded as the gold standard and most accurate way to track ketone levels. Testing this way can be expensive, its can cost up to $3 a strip, so if you're testing multiple times a day it can get pricey. I personally haven't used one of these devices, I thought about buying one, but instead put my money towards more blood strips. I like seeing the exact mmol/L figure - and at the moment only blood tests show this data - so until this changes I'll probably stick to (and recommend) pricking your finger when it comes to checking ketone levels. NB - for a full comparison on blood vs breath check out this page. Also, some people prefer to use urine keto strips, but I believe the blood testing is a far superior option. For this section I am going to reference BJJCaveman. The best time is first thing in the morning while fasting. This will give you the most accurate reading. Volek and Phinney describe a diurnal variation in ketone production, with the lowest amount in the AM. So if you’re in the zone in the morning, then you should be for the rest of the day, since that will be your lowest reading. In my experience I’ve become distrustful of testing later in the day because of the potential effect of my meals. Food can still be absorbed 6 hours after you’ve swallowed it. The reason you test is to know whether your body is producing ketones. You don’t want any ketones coming from something you’ve eaten to screw up your numbers and give you a false impression as to what’s going on. And you can see more of his thoughts on this topic HERE. What Knocks You Out of Ketosis? Glycolytic training (sprints, intervals, CrossFit type workouts, bodybuilding type workouts etc. )– stress from hard training causes glucose to be released for fuel. If you are aware of particular foods or supplements that knock you out of ketosis, please leave a comment below and I’ll add it to this list. Your metabolic rate, your hormonal profile etc. etc. etc. For most people, 1-3 days after a big carb meal you will be back in ketosis (assuming you are back to following a ketogenic diet of course). The use of mct oil, ketone supplements and fasting can all help speed this process up. Finally, track your ketone levels and see what works best for you. You may find that a 24 hour fast brings your ketone levels back up to where you want it, or you may find a ton of mct oil works better. Experiment. It is very important to increase your salt consumption when on a ketogenic diet. First, ketones naturally act as a diuretic, so you lose salt, potassium, calcium and magnesium, and it is generally encouraged to increase sodium intake with ketones. When you restrict carbs, the kidneys excrete a lot of sodium. Not replacing this sodium can leave you feeling light headed. I recommend having a big glass of spring water with ½ teaspoon of Celtic sea salt twice a day (first thing in the morning and midafternoon are two times that work well). A long with this, make sure you use a lot of salt on your meals. A lot of people who use ketogenic diets will include a regular (i.e. weekly) carb refeed meal. There are various reasons behind doing this. If you are doing a lot of glycolic based training, then the carb refeed can help bump up muscle glycogen levels and in turn boost performance. Others use these refeeds as a way to keep their thyroid health in check, and finally some people use these refeeds as a ‘cheat day’ – so that they can still enjoy the pleasures from carbohydrates! Personally, I think it is wise to include a regular carb meal in your diet if you are going to follow a ketogenic diet. Long term ketogenic diets do seem to downregulate your thyroid and metabolism, and a weekly carb meal (or carb day) can help avoid this. The Carb Nite diet by J. Kiefer is a good example of this. And BJJCaveman posted his labs showing how a weekly carb meal helped his thyroid HERE. Kiefers Carb Nite book, and his Carb Backloading books go into a lot more detail behind the importance of regular carb refeeds, and also the optimal time to eat carbs in regards to fat loss and sports performance. At the time of writing this article, this is an area that I don’t have much experience with outside of MCT supplementation. For that reason, I will refer to individuals who DO have a lot experience with ketone supplementation. Before that though, I do want to touch on MCT oil and it’s impact on ketone levels. MCT – or Medium Chain Triglyceride – are fatty acids that bypass the liver – and become quick energy for the brain and muscles. As they are a fat based energy source (and not a carbohydrate) they are quickly converted into ketones. This means MCT oil is a great way to boost ketone levels in the body. Now to look at exogenous ketone supplementation. “Animal models (e.g., using rat hearts) and unpublished case reports in elite athletes suggest supplemented BHB (ketone salts) produces more ATP per unit carbon and per unit oxygen consumed than glycogen and FFA. This appears to have been the case in my anecdotal exercise. “Ketones may be a better source of fuel than glucose, and a far better beverage than Fruitopia, but it's a question of whether or not you can spare the extra fuel…. So, throwing some ketone monoesters into your pre-workout drink might improve net physical performance, depending on your sport. But then there’s that other issue, that elevated ketones and glucose = no bueno. Acute physical performance boost at the expense of healthspan? Idk. My two cents: I wouldn’t take ketone supps if not on some sort of low(ish) carb diet because the idea of high levels of BOTH fuels (ie, ketones AND glucose) doesn’t seem physiologically appropriate… more like a recipe for disaster, and by “disaster,” I mean “out-of-control production of Reactive Oxygen Species” — this might not matter if you’re an athlete looking for a quick performance boost, because the fuels are going to be cleared rather quickly… not so much if you’re a desk jockey. This is another big topic. So big in fact that there are podcasts and websites dedicated to it. There are many health benefits of fasting. I cover this in detail in my article Fasting: How Skipping Meals Can Burn Fat & Increase Lifespan. Fasting is often used by individuals on a ketogenic diet. Why? Because when you fast, your body needs to derive energy from the stored body fat and stored liver glycogen. During this time the body will increase production of ketones. And yes this means that even a high carb sugar burner may reach a very mild state of ketosis after a night without food. 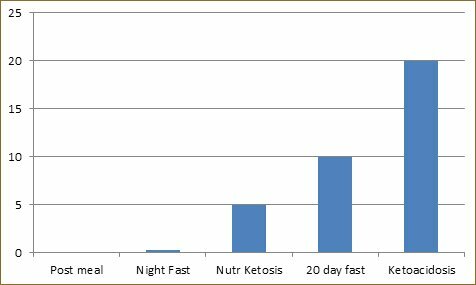 Fasting is an effective way to enter a state of ketosis. 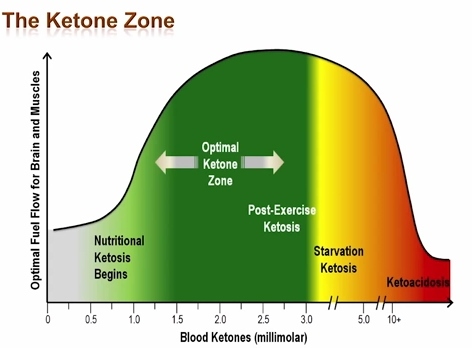 As without ketones we would not be able to survive any extended period without food. Finally, a word of caution. If you plan on using intermittent fasting to help keep you in ketosis, remember that a large consumption of carbs and or protein in one meal can knock you out of ketosis. So sometimes it is better to shorten your fast period and extend your feeding window to stay in ketosis but still benefit from fasting. Before starting a ketogenic diet, it is important that you consult a medical professional. Also, I highly recommend reading my section on Ketogenic Safety and the section on Thyroid. Along with the concerns addressed in those sections, I also list a few other potential ‘downsides’ of ketosis. ‘Let’s say you decide you’re going to get into ketosis by eating boatloads of grass-fed butter, peanut butter, almond butter, animal meats, and oils, and you aren’t very selective in the quality of those fats. Eating a keto diet requires a lot of control over your diet. Sure society is starting to offer vegetarian options, low fat, low carb and gluten free choices, but eating ‘keto’ out at restaurants or cafes can be tough. Likewise, with eating at a friend’s place or when grabbing a quick bite to eat on the road. Sure you can ask for extra butter, or grab a packet of macadamia nuts here and there, but if you eat out often, a ketogenic diet is going to be tough. If you suffer from an illness that a ketogenic diet can help with, then maybe you should explore it. If you are an endurance athlete looking for an edge over your competition it may be worth looking into. If you are looking at losing fat then I think there are better ways to go about this than a strict keto diet. If you want to experience the cognitive ‘euphoria’ that comes with a ketogenic diet, then sure, give it a go or play around with exogenous ketone supplements, but only do this if you don’t have any underlying health (i.e. thyroid issues). If you read about ketosis in magazine or heard about it in a podcast and wanted to jump on the bandwagon, then I think you should avoid it. Remember, it is a strict diet, and the potential health downsides may not be worth the upsides, unless you are working with a medical professional and or you are tracking your labs to see what’s going on with your health (thyroid). If you have any sort of thyroid issue, or sluggish metabolism, then no I wouldn’t do it. Do I still follow a ketogenic diet? Not anymore. I was strict keto for 12 weeks – enough time to experiment and learn about it. I did enjoy parts (lots of fat!) but I don’t see it as a sustainable way of eating, nor did I benefit from it health or sports performance wise (more on this in an upcoming article). But, I was following a strict keto diet – sans carbs. 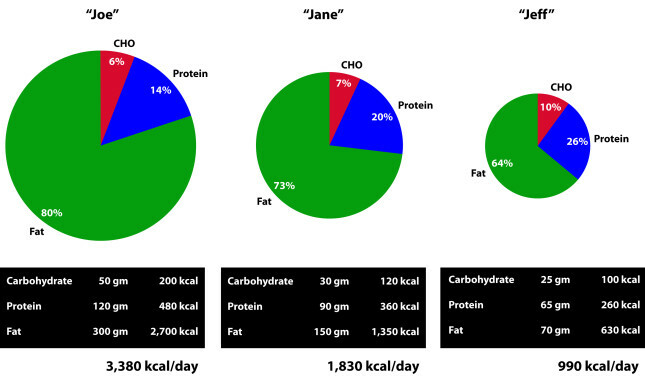 I think if I were to follow a ketogenic diet AND incorporate a regular carb refeed then the results may be different. In my popular health Program I don't use ketosis. My goal with this article was to make the most comprehensive, single page resource on ketogenic diets. I wanted to create an article that I wish I had read prior to doing my own ketogenic experiment. I have also condensed the core takeaways from this blog into a one page cheat sheet guide which can be downloaded HERE. If I have missed something, or if you have read this guide and still have questions, PLEASE post them below or email them to me and I’ll be sure to answer them and update this resource.